— Shin Wakabayashi is an animator who hasn’t done much work in last few years, so it was a pleasant surprise to see him storyboard and direct an episode. He seems to be on good terms with the series’ animation producer Yuichiro Fukushi, with whom he worked on projects such as X-Men (anime), Iron Man: Rise of Technovore and Hunter x Hunter – The Last Mission. Wakabayashi’s directional work frankly isn’t as outstanding as his animation, but it’s functional enough. — The episode was mainly outsourced to a Korean company called DR MOVIE – the first fully outsourced one we individually tackle on this site I believe, which means we have good eye because these are quite hard to avoid nowadays. 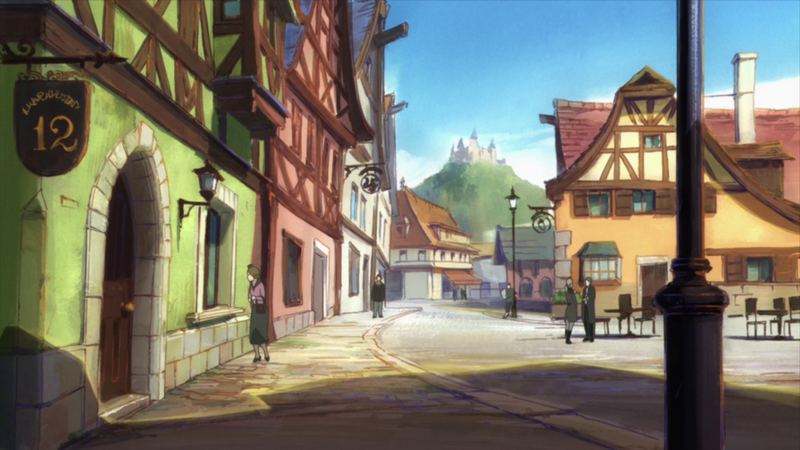 Madhouse invested into this studio in the past and uses it to outsource many production endeavors; in this episode, they handled most of the key animation, in-betweens and coloring. DR MOVIE’s work isn’t limited to Madhouse, but it’s their main business partner alongside all the other companies led by Masao Maruyama. I think they’ve been involved in almost every Madhouse production since the beginning of their partnership, and nowadays they animate episodes for basically every project the parent studio handles. 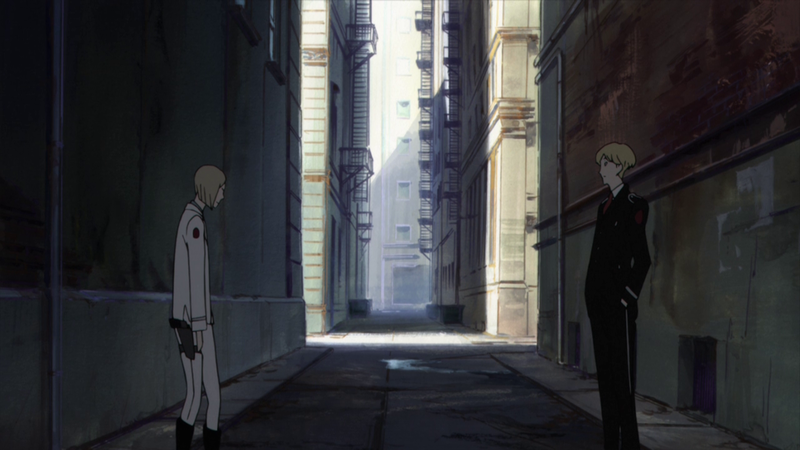 — Background art in this episode seemed to be a step-up from the previous one. 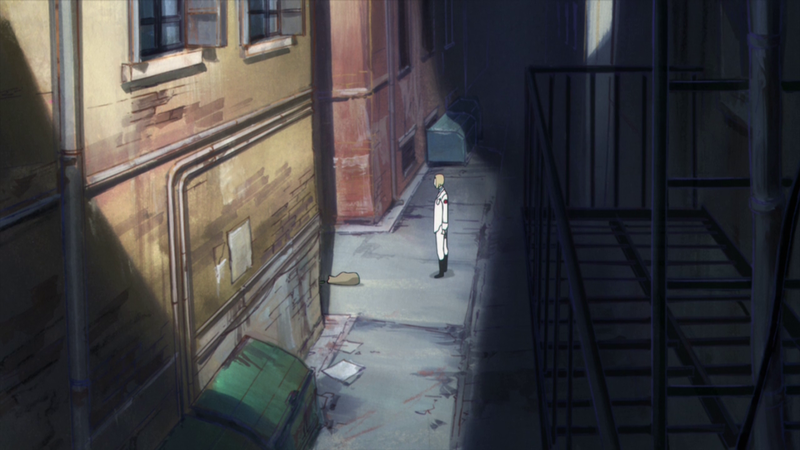 I especially liked the scene in the alley, which played to Seiko Yoshioka’s strengths as art director. 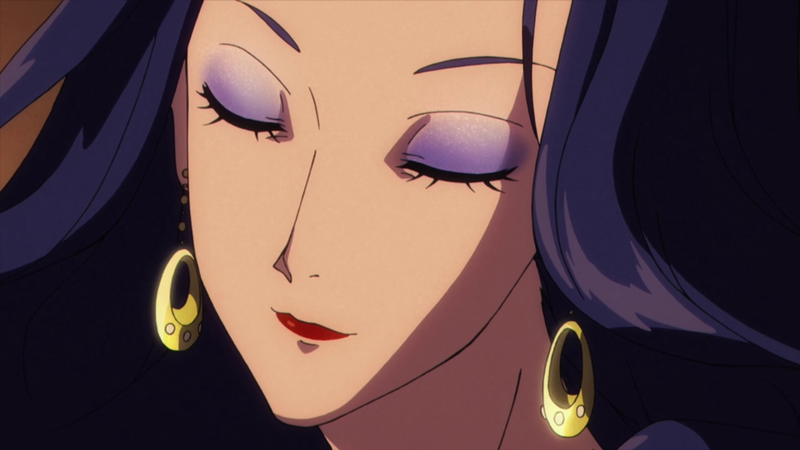 — The animation was as expected very average, with some rather unpolished shots. It becomes even more evident when you watch episodes 2 and 3 back to back. Gosei Oda did chief animation direction, but his trademarks were hardly present. I think I only spotted these thick lines, but other than that it’s like he was trying to restrain himself. Or maybe he was restrained by the time? — Now that was more like it! The Madhouse regular Yousuke Hatta delivered by far the most interesting storyboard in the series. Its highlight was easily Jean and Mauve’s dinner, which was a delight to watch. Hatta made sure the long conversation wouldn’t just consist of average panning close-ups with distance shots intercalated. 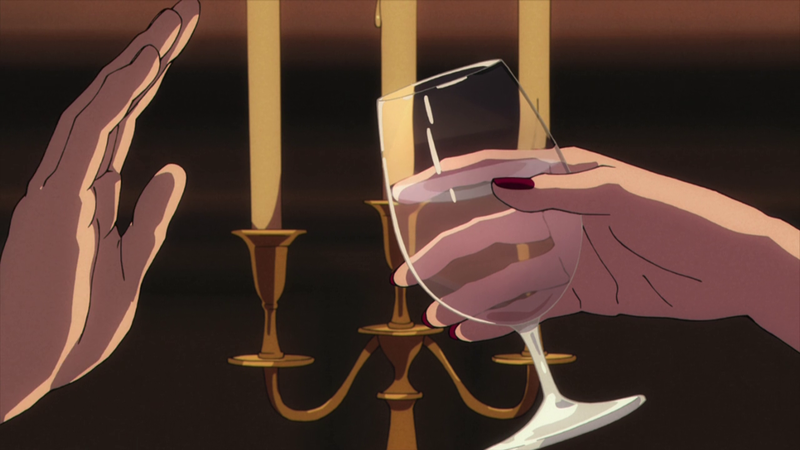 He framed individual shots to focus on the environment and objects in it such as candles, glasses and food, as well as highlighting Mauve’s charm and showing the eloquent gestures the characters also communicated through. That way the setting felt alive, the scene flowed naturally and he kept it entertaining to look at. 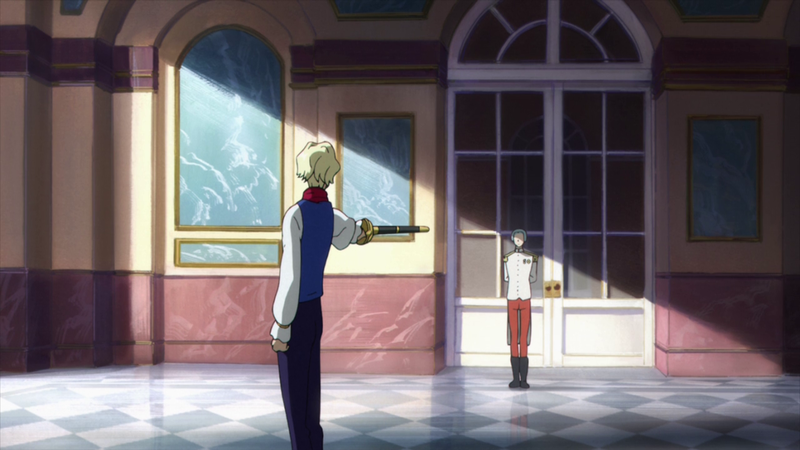 Good work from the animator(s) in charge too! 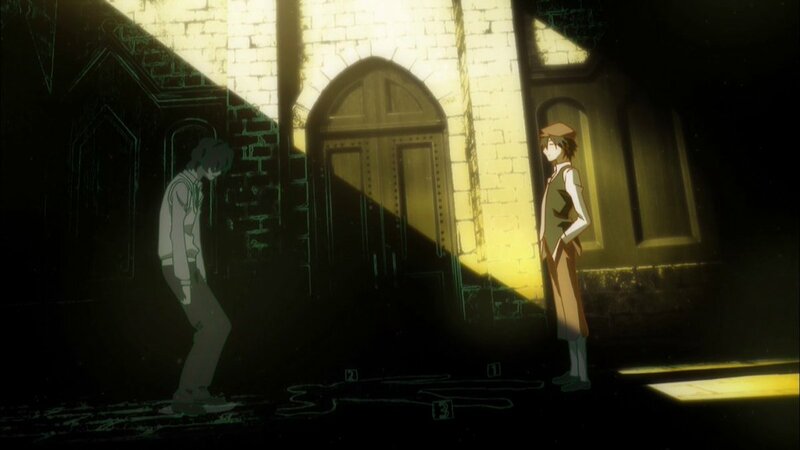 — Speaking of interesting shots, this scene was staged as if it were storyboarded by Takuya Igarashi, who really loves using this kind of diagonal shadow. 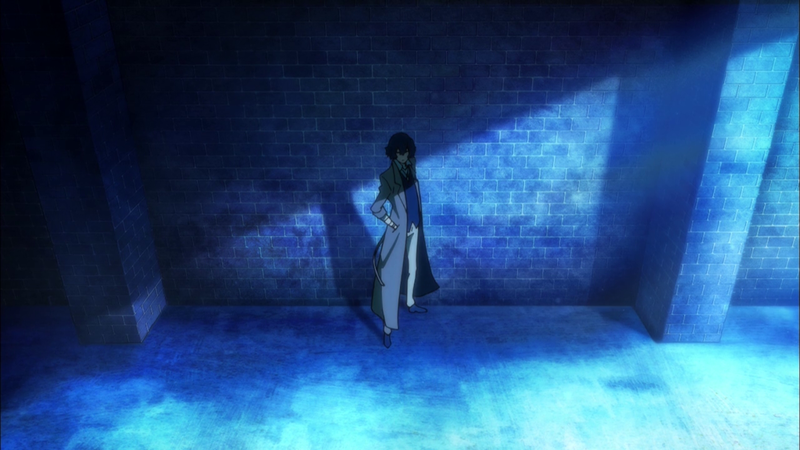 Funnily enough, the two characters in the scene were voiced by the same voice actors who voiced the protagonists of Igarashi’s latest series – Bungo Stray Dogs. 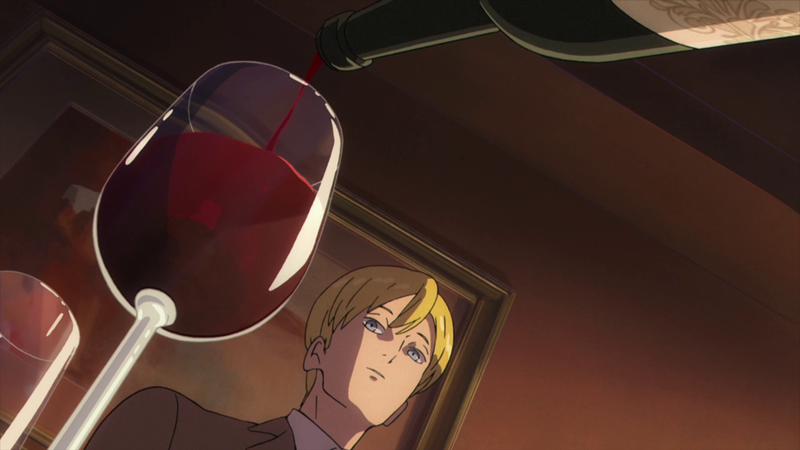 — The animation director Keita Nagasaka and chief animation director Kanako Yoshida delivered possibly the most polished episode in the series yet. It’s a pleasant surprise coming from Kanako Yoshida, who was already praised by Mob Psycho‘s director Tachikawa for replicating Yoshimichi Kameda’s character drawings the best. It’s impressive that she can adapt so well in such a short time to a completely different drawing style, definitely a versatile animator. 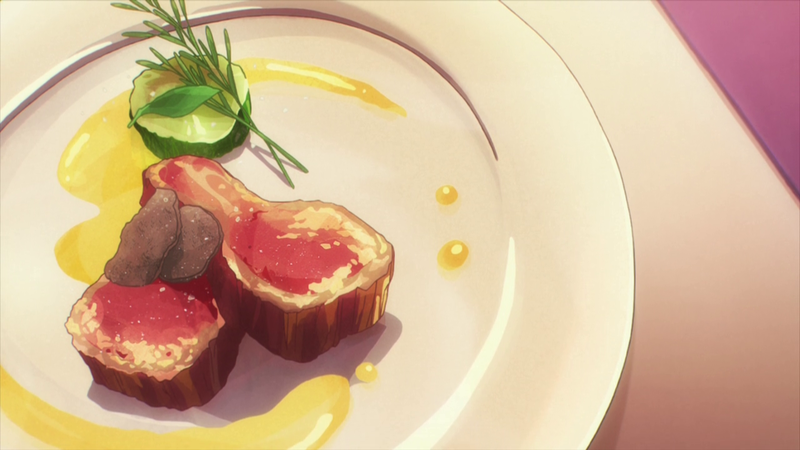 Overall I’d say this was the best looking episode so far. 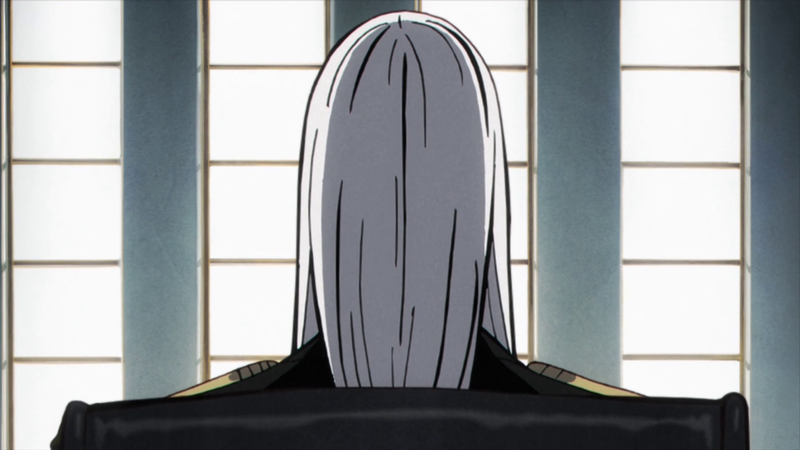 — The final scene on the balcony featured some sublime hair animation. 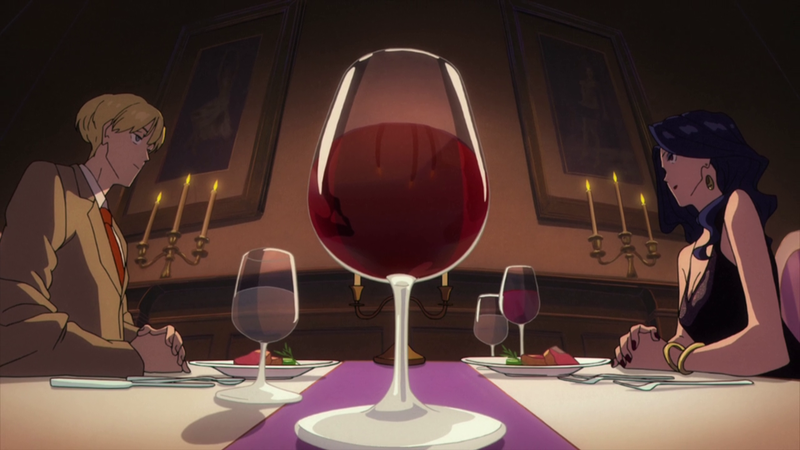 The big names on the key animation list were Hunter x Hunter‘s powerhouse animator Hidehiko Sawada and Izumi Muraki, who animated the ending; I suppose one of them did this scene while the other one worked on the aforementioned dinner. Perhaps Sawada on the former? Kevin has been copying the episode post format which I came up with, so it’s time for me to copy his production notes format now! Was wondering when Dr. Movie would be brought up. 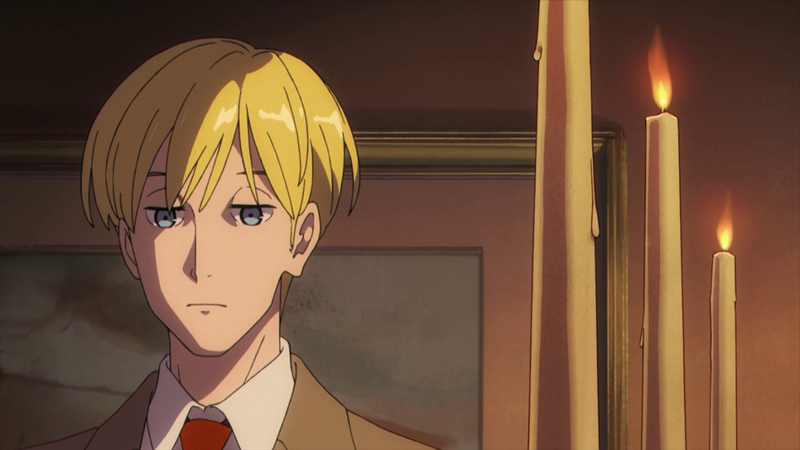 It’s funny really- The company seems to like juggling between anime and cartoon work. Especially considering they’re also working on both Justice League Action and Justice League Dark for Warner Bros. in addition to ACCA 13. Makes me wonder if the JL projects may have resulted in episode 2’s meh quality in addition to time.